35watt HID Replacement Digital Ballast. 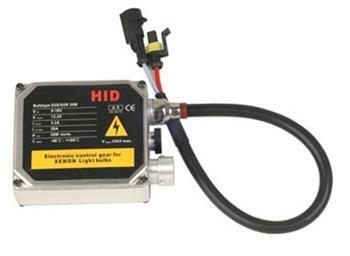 Warning: This ballast is only compatible with 35W HID bulbs. If you are not sure what wattage your ballast is, please check factory specification label on your ballast. Ballast is compatible with all different color temperature 35w bulbs: 3k/4.3k/5k/6k/8k/10k/12k/15k/20k/25k/30k/pink/green. This is perfect if one of your current Ballasts went out and you need to replace it or if your building a custom kit or a Bike/Motorcycle Kit or if you just want to change your current HID setup.